More than 62 million girls around the world, half of them adolescents, face myriad barriers that deter their chances of obtaining an education. In response to what is oftentimes categorized as a “global education crisis,” President Barack and First Lady Michelle Obama launched the “Let Girls Learn” initiative last year, an effort that has recently taken Mrs. Obama on a national tour promoting the project’s platform. The First Lady joined Spain’s Queen Letizia last week in Madrid to urge a crowd of hundreds of young women to use their abilities to advocate for girls’ education around the world. Mrs. Obama’s stop in Spain’s capital was a part of a three-nation tour, with previous appearances in Morocco and Liberia. 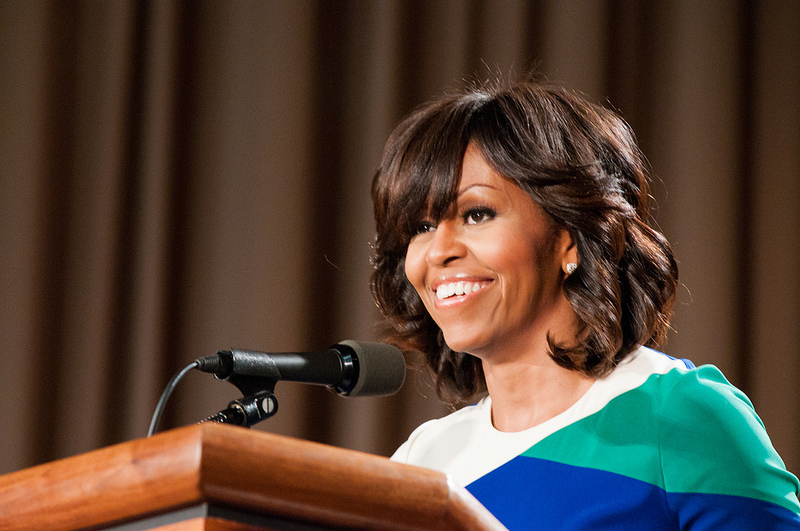 The First Lady challenged the perception held in certain countries that a girl’s worth does not necessarily earn her the right to attend school. “It’s about whether girls are valued only for their bodies—for their labor, for their reproductive capacities—or are they valued for their minds as well,” she remarked. Let Girls Learn, a join initiative between the Department of State, the U.S. Agency for International Development (USAID), the Peace Corps, the Millennium Challenge Corporation (MCC), and other agencies like the U.S. President’s Emergency Fund for AIDS Relief (PEPFAR), seeks to combat a range of challenges generally associated with community customs that prevent girls from attaining a quality education. It pursues this goal through making investments in expanding education opportunities for girls, leveraging public-private partnerships, and deepening emphasis on community-led solutions that help adolescent girls complete their education. Underscoring the significance of projects like Let Girls Learn is the fact that girls around the world continuously fall victim to disproportionate disadvantages in education systems. According to a 2015 UNICEF report, barriers like the allocation of limited resources only to boys’ education, negative social norms, and sometimes-violent schooling environments only bolster the severe gender parity imbalance in education. These hurdles are not only present before a girl even reaches the classroom doors, but also prevail in school settings, creating more challenges that discourage and prevent girls from progressing to secondary education. The Let Girls Learn initiative stands out in that it recognizes the importance of a holistic approach and the need to look beyond just monetary investments. As Mrs. Obama explained in a 2015 piece for The Atlantic, financial resources can only go so far if they are not paired with complementary cultural beliefs and attitudes. Shifting the cultural norms in places like Sub-Saharan Africa, where only two out of 35 countries have obtained gender parity, is a tall order. But it should not go unsaid that progress is possible, even if slow. The World Bank reminded us in 2014 that from 1999 to 2008, Sub-Saharan Africa saw the ratio of boys and girls in primary school classrooms increase to 91 girls for every 100 boys from 85. To make any discussion of funding education more than a tug-of-war requires going deeper into education economics.